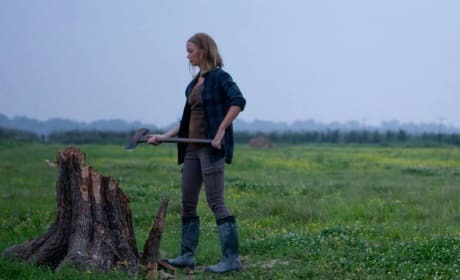 Emily Blunt prepares to cut some wood in this still from the upcoming thriller Looper. The film follows a hitman who kills people sent back from the future, who is confronted with the task of killing his future self. 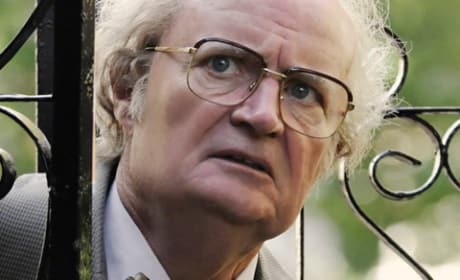 This still from the upcoming film Cloud Atlas stars Jim Broadbent. 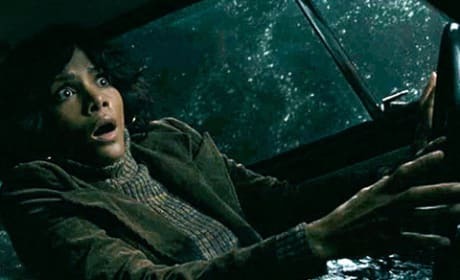 The film follows multiple storylines throughout history, with three different directors. 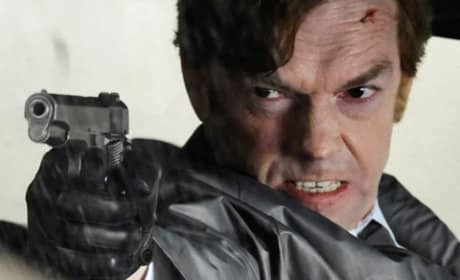 Hugo Weaving stars in this still from the upcoming film Cloud Atlas. The film is based on the novel by David Mitchell. 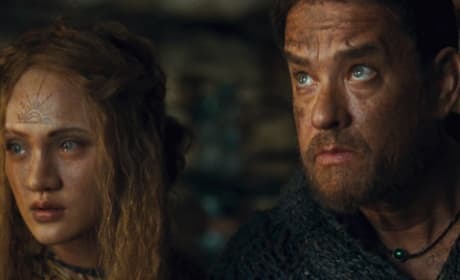 Tom Hanks is featured in this still from the upcoming film Cloud Atlas. The film is based on the novel by David Mitchell. 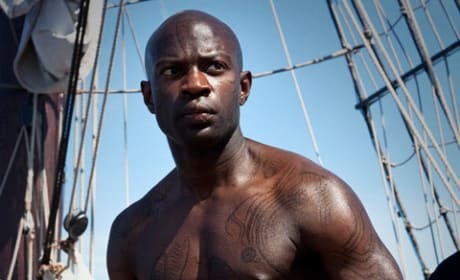 New still from the film Cloud Atlas. 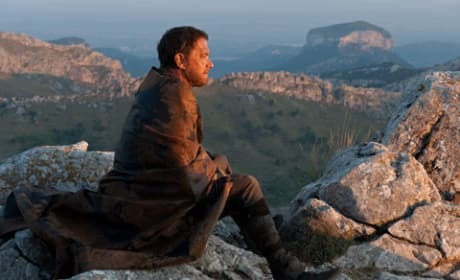 The film explores how actions affect lives in the past, present, and future through multiple storylines. 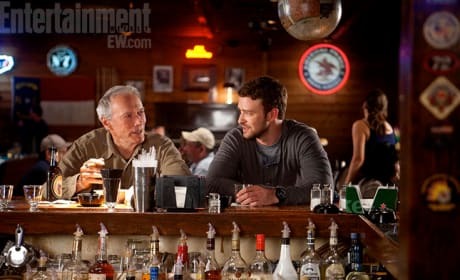 Clint Eastwood and Justin Timberlake sit at the bar in this still from Trouble with the Curve. The film stars Eastwood as a baseball scout. 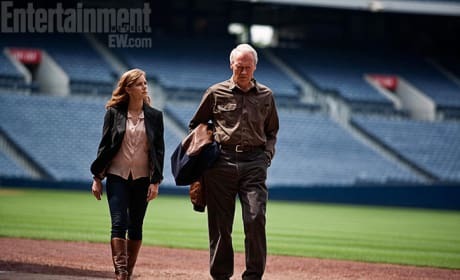 Amy Adams and Clint Eastwood walk on the field in this still from Trouble with the Curve. The film stars Eastwood as a baseball scout. 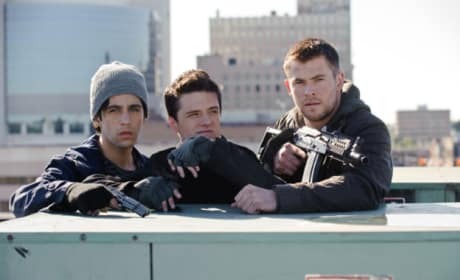 This still from Red Dawn stars Josh Peck, Josh Hutcherson, and Chris Hemsworth. The remake of the 1984 film premieres November 21. 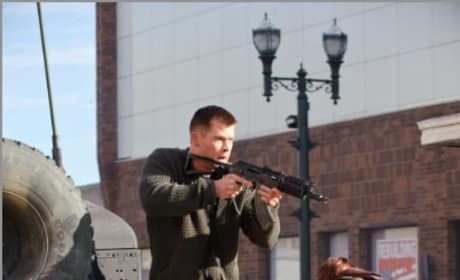 This still from Red Dawn stars Chris Hemsworth. The remake of the 1984 film hits theaters November 21. 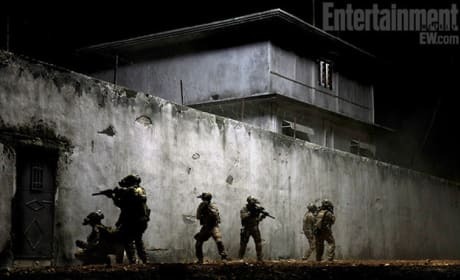 This still from Zero Dark Thirty shows the SEAL team outside the compound walls. The film chronicles the mission to kill Osama bin Laden. Point Break Poster Revealed: First Photos Too!